(YUL) - including all of the urban orienteering races in Yorkshire and Humberside throughout the year. From A6038, Otley Road junction with Green Lane follow Brown Tourist Signs to Shipley Glen Tramway on Coach Road. Parking and assembly is in Thompsons Field on the RHS of Coach Road. You may enter any course although to be competitive in the YHOA urban league you need to enter the courses shown above. 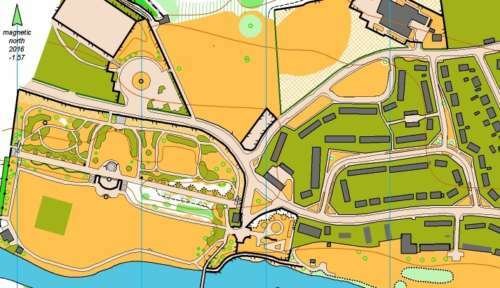 Juniors aged 15 and under on the day will only be allowed by British Orienteering on Yellow or Light Green Courses for safety reasons. Newcomers can run in pairs and parents can run with children. An Urban event, but with extensive areas of parkland and rougher and hillier open and wooded terrain. Dogs only under tight control please.